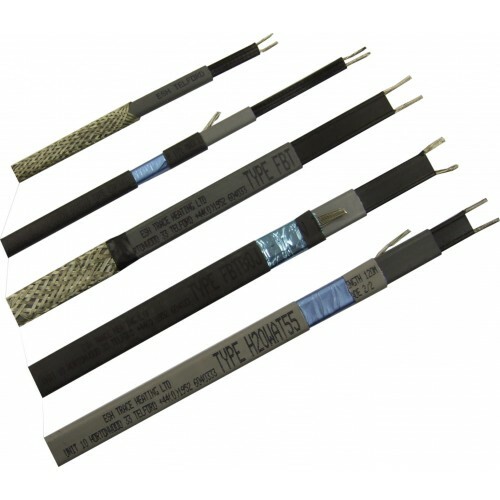 Economy self regulating trace heating tape (10w/m @ 10ºC 240V) for frost protection of water and low temperature domestic and commercial product lines. 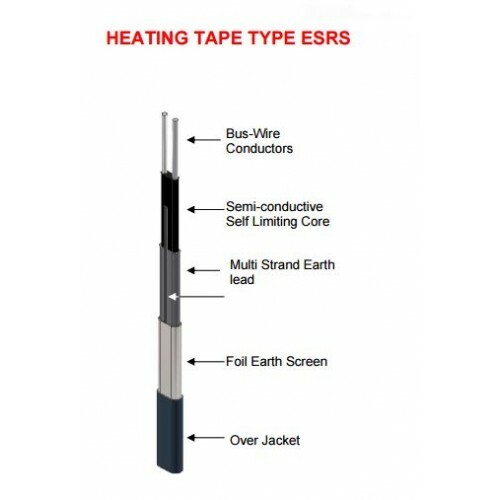 Type ESRS self regulating heating tape is designed to meet the 'Economy' requirements of frost protection & low temperature trace heating systems, where cost is a major factor. 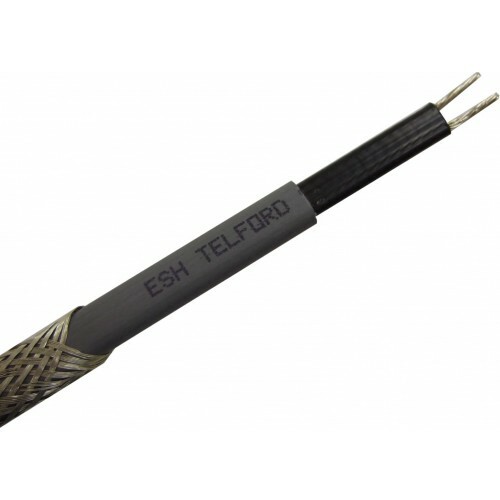 Although this heating cable is from our economy range it is still manufactured to the same high standards as all of our products. 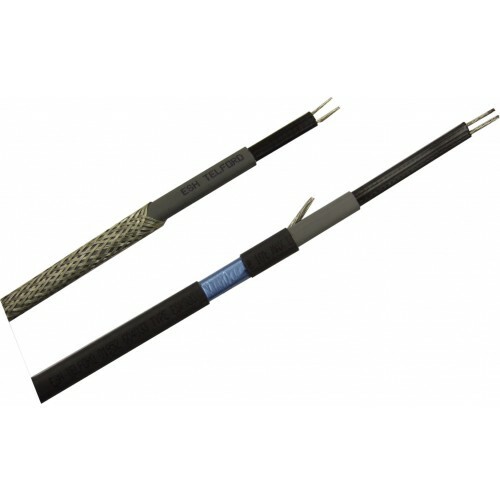 The heating cable can be cut to length on site due to its parallel circuit design, allowing for simple system design and reduces wastage during installation. The heating tape has a varying wattage output relative to the actual temperature of the heating tape. Basically as the temperature of the heating cable increases the output decreases, hence ‘Self Regulating’. 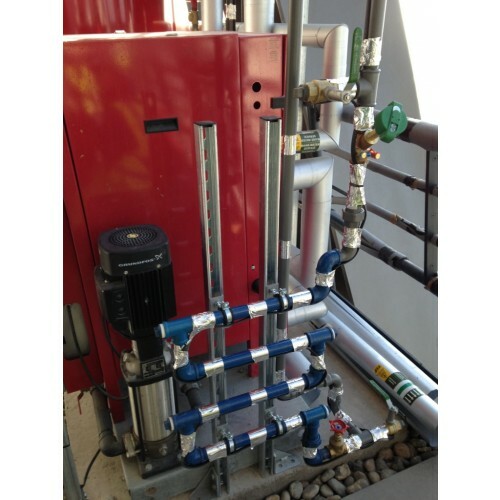 Suitable for internal and external freeze protection and low temperature maintenance, oil and chemical lines, sprinkler system mains and supply piping (as listed in Clause 1 BS EN 62395). 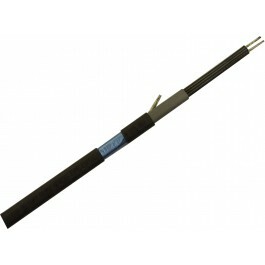 You will require a type ESRS/T termination kit to terminate / seal the front and back end of the heating tape. Although this is a self regulating heating tape, thermostatic control is recommended with all trace heating installations.